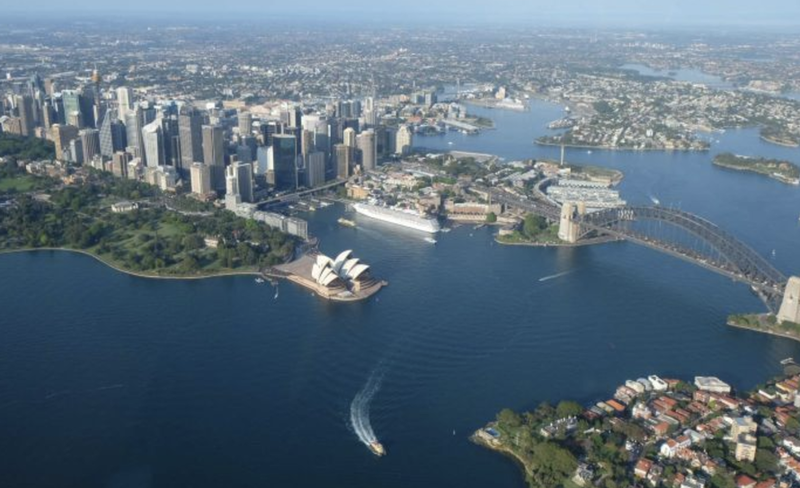 Australian Homebuilders Suffering Amid "Sharp Downturn"
Australian homebuilders and housing industry contractors are feeling the effects of a sharp downturn in the country's housing market, according to ABC News. 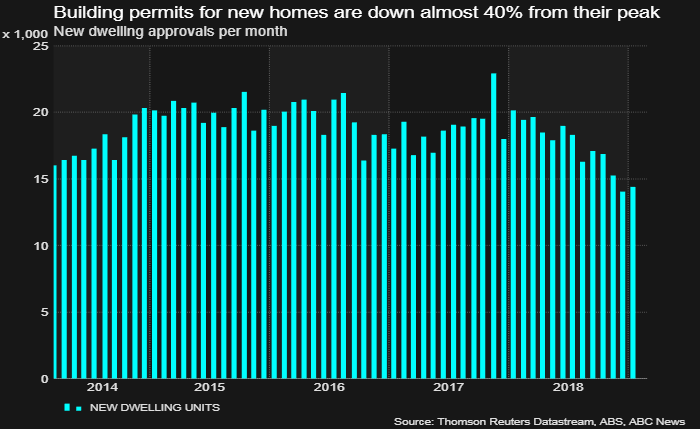 "Builders are just battening down the hatches and looking after their costs," said Greg Zuccala - director at Australian homebuilder Zuccala Homes. With Melbourne housing prices falling 9.6% from their 2017 peak and new home building permits down nearly 40%, Zuccala has begun to adapt - laying off four workers amid a push to pinch pennies. 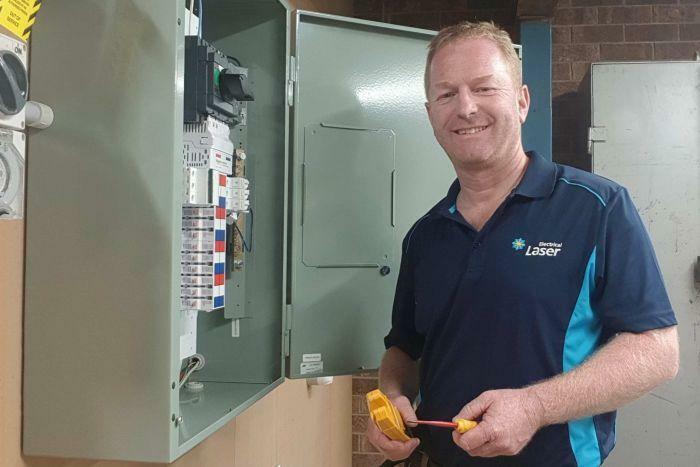 It isn't just homebuilders feeling the heat either; electricians such as Ray Sherriff - who employs nine electricians and four apprentices - has noticed the significant slowdown in housing activity. "Two years ago we literally didn't have time to price all the [residential] jobs that were coming in," Sherriff explained. "Now it's rare and there are lots of jobs getting postponed and put back." Residential work used to make up "probably 50 to 60 percent of our business," according to Sherriff. "Now we're probably looking at 20 to 30 per cent." Right now, the rate of contraction in house construction is the fastest it has been in six and a half years, according to figures by the Australian Industry Group's Performance of Construction Index. "When you have house prices falling as they are at the moment, the risks of entering into that are greater," said Shane Garrett, chief economist with the Master Builders Association. "That's one of the reasons why activity is starting to move down ... It's a riskier predicament for all concerned." That said, ABC News would like readers to know that not all is lost... while "there is no denying we are in the midst of a downturn, and that is hurting the construction sector, the numbers are still good in a historical context." "We see it bottoming out to about 175,000 over the next few years," notes Garrett. "It's worth emphasising, that 175,000 as a low point would still be the highest ever low point for new home building on record." 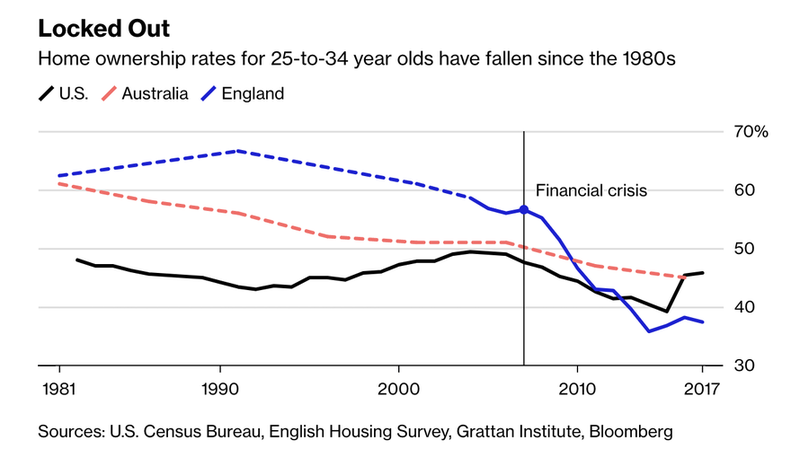 If Australia's progressives are victorious in the May elections, the country's "sharp downturn" in housing could accelerate.